Found on a forum, original source is probably some magazine. thankyou for this scan, hopefully others will come up like this. damned sasuke ! why did you kill Orochimaruuuuuuuuuuuuuuuu ? : You do not have enough credits to download this (cost: 1, have 1). You can gain one credit for each comment you post in the gallery or forum, and 4 credits for each scan you upload. Wow! 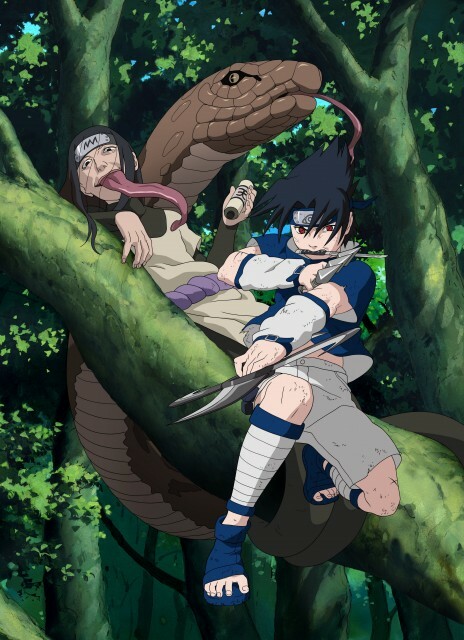 Sasuke looks hott like this! Great Exelent picture This is a nice one. Great pic! I love the Naruto artwork! Thanks for sharing!